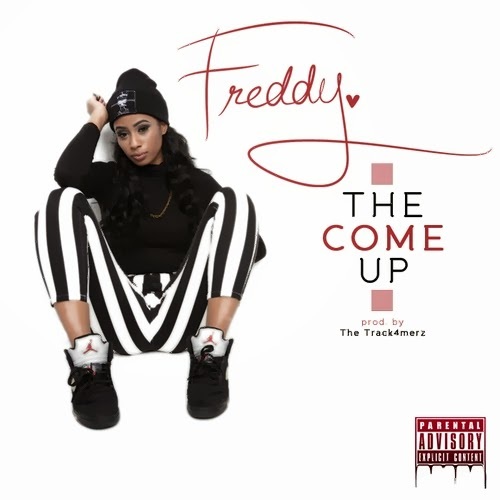 It's been a minute since we've heard from self-proclaimed ‘strapper’ (singer and rapper) - Freddy Hefner. Now in 2014, the rising superstar returns with brand new material and music videos. She debuts the video to ‘The Come Up’ - a song she released back in April 2013, alongside ‘Imaginary Friend’. The video to ‘The Come Up’ was shot my Marlon Womack, and edited by Freddy Hefner herself. Glad to see that she's very versatile, 2014 is going to be an exciting year for Freddy! Watch Hefner kick it with her girls in sunny California on the Track4merz produced track.